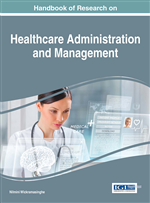 This chapter discusses clinical practice guidelines (CPGs) and their incorporation into healthcare IT (HIT) applications. CPGs provide guidance on treatment options based on evidence. This chapter provides a brief background on challenges in CPG development and adherence, and offers examples of data-driven approaches to improve usability of CPGs and their applications in HIT. A focus is given to clinical pathways, which translate CPG recommendations into actionable plans for patient management in community practices. Approaches for developing data-driven clinical pathways from electronic health record data are presented, including statistical, process mining, and machine learning algorithms. Further, efforts on using CPGs for decision support through visual analytics, and deployments of CPGs into mobile applications are described. Data-driven approaches can facilitate incorporation of practice-based evidence into CPG development after validation by clinical experts, potentially bridging the gap between available CPGs and changing clinical needs and workflow management. Consensus by experts (Ebell et al., 2004).